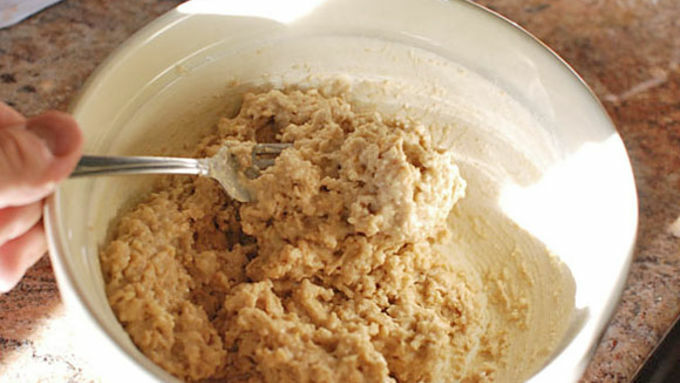 Make the glaze: Warm the 1/2 cup of milk, and whisk in the powdered sugar. Heat frying oil to 350°F. Make sure to use a sturdy pot and a deep fry thermometer. Immediately form balls and fry until crisp and fully cooked, about 5 minutes. 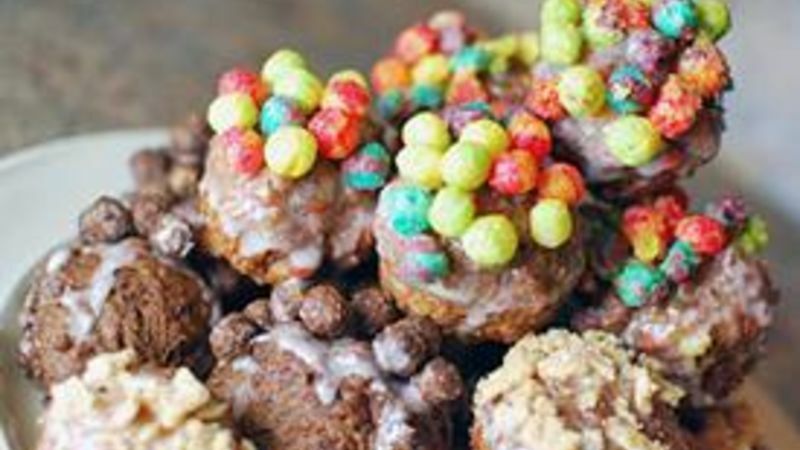 Dip the balls in the glaze and top with more of the cereal. 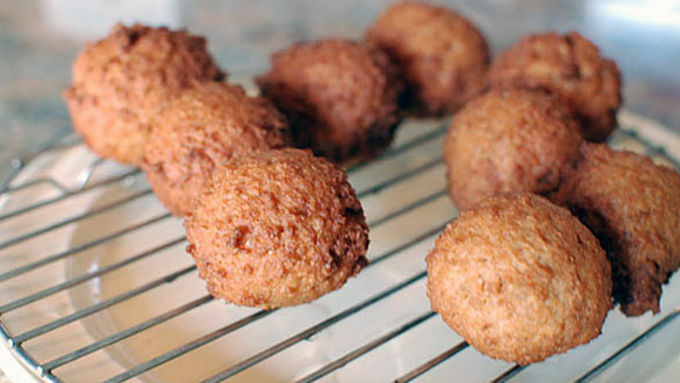 After I got the idea of fried cereal donut holes in my head, I knew it wouldn't leave until I actually made the things. You know, like when a song gets stuck in your head and you have to listen to it to get rid of it? The problem here was I couldn’t just press play on my stereo and be satisfied. 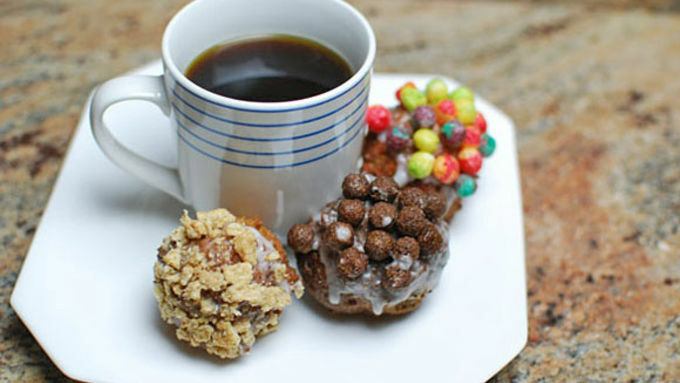 I not only had to make cereal donut holes, I had to FIGURE OUT HOW to make them! 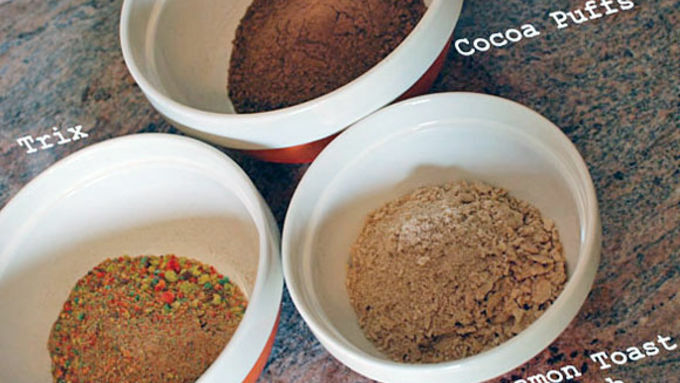 What did I need to do to hold cereal together in a spherical shape that wouldn't fall apart in a fryer? After doing a bunch of research, I finally took inspiration from a doughnut. I coarsely ground up some cereal and used it in place of flour in a doughnut recipe and the Cereal Donut Holes came out perfect! Crisp on the outside with tons of cereal flavor packed in the middle. The best thing: after we had them for dessert that night, I ate the rest in the morning with my coffee.I made thirty of these, and my roommates and I didn't have a problem finishing them off by the next morning. Since they were inspired by doughnuts, they actually tasted great in the morning with coffee!